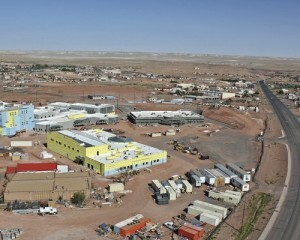 Alliance Safety LLC is providing safety management support to construction of the new Tuba City Jail Complex. This will become the biggest jail on the reservation with 132 beds. The 144,000-square-foot facility will cost $61 million and will include space for the courts and law enforcement programs serving the Tuba City District. The facility will also include space for programs to help the inmates deal with issues such as alcoholism and violent behavior. The Navajo Nation plans on spending more than $100 million in the next two years on various facilities to deal with overcrowding and facilities that need improvements.